PDF sessions will take place from 17:30 – 20:00 on the second Wednesday of each month. There are 8 places per session so booking is essential. Please write to office@praksisoslo.org attention of Sayed Hasan to book a place. Present current ideas and develop projects in a supportive, constructively critical environment. Gain insight into other artistic practices. Benefit from constructive feedback from fellow creatives. Become part of an artistic community. Exchange knowledge and professional experience. We warmly invite you take part in an active, imaginative and productive multi-way discussion: sharing your ideas, working processes and problem-solving strategies; supporting, probing and critiquing; listening and learning from others. Please note that booking is essential: details are above. PDF will take place at PRAKSIS HQ at Rådhusgata 19, with practising artist Sayed Sattar Hasan in the role of chair. Each session begins with a short ‘keynote’ presentation by a guest contributor before the session opens up for other participants to share their own practices. Meetings last 2.5 hours, allowing approximately twenty minutes’ to focus on each participant’s work-in-progress. The second edition of PDF welcomes Norwegian artist and former PRAKSIS resident, Kjetil. D. Kristensen, who will discuss his recent artistic activity. 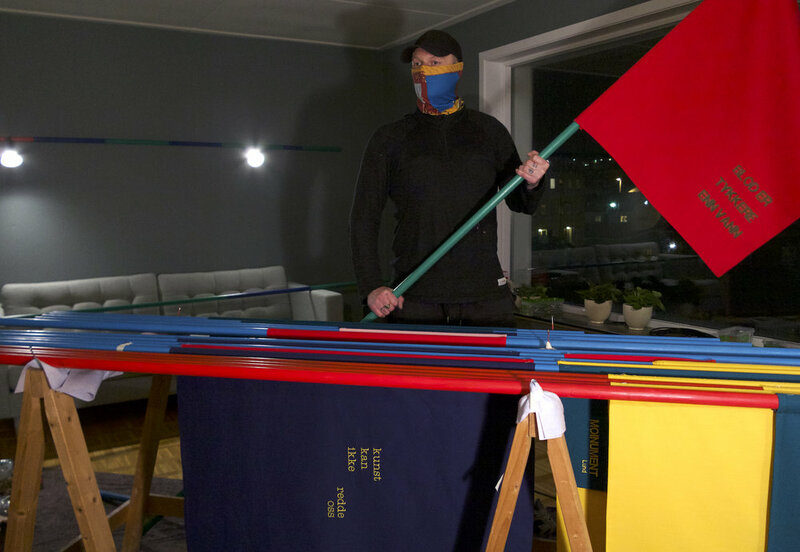 Having completed an MFA at KHiO, in Art and Public Space (2018), Kristensen is interested in the tension between activism and the art institution, and how to create spaces which facilitate social and self-critique. For more information on Kjetil D. Kristensen click here. Participants are encouraged to bring work in development. There is space to accommodate physical works and relevant materials (though please check in advance re. access arrangements and maximum dimensions). Digital works or documentation can be shown on laptops or the group projector (please bring material on a USB memory stick). Readings and performances are encouraged, though participants need to keep time constraints in mind. Chair Sayed Sattar Hasan will ensure that time is allocated fairly to all participants.